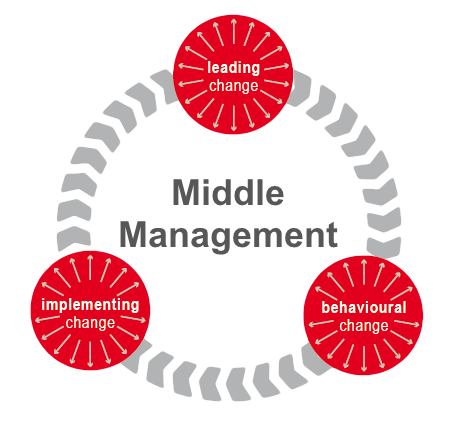 Following up the discussion “Bottom-up Approach Towards Organizational Change” I think that even in a bottom-up or top-down approach, the key to achieving a successful change in a (large) organization, is the middle management. Without the commitment of those managers not much will happen. I support Gary & Rebecca. The assumption is the middle management is in a position to contribute to desired change in a bottom-up or top-down approach. Each Organization Has a Wave Pattern!!! It is Unique!! Organizations, to achieve success, should consider all factors. They need all elements. In each organization these elements are unique.